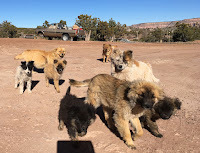 The crew is back and we are beginning to get the stories of their Navajo Adventures. It was a non-stop, whirlwind of driving, hauling, and installing. From picking up the stoves and equipment at the ABF Truck Terminal, to making the two-hour drive from Albuquerque, New Mexico to Gallup, New Mexico, the days were long but productive. 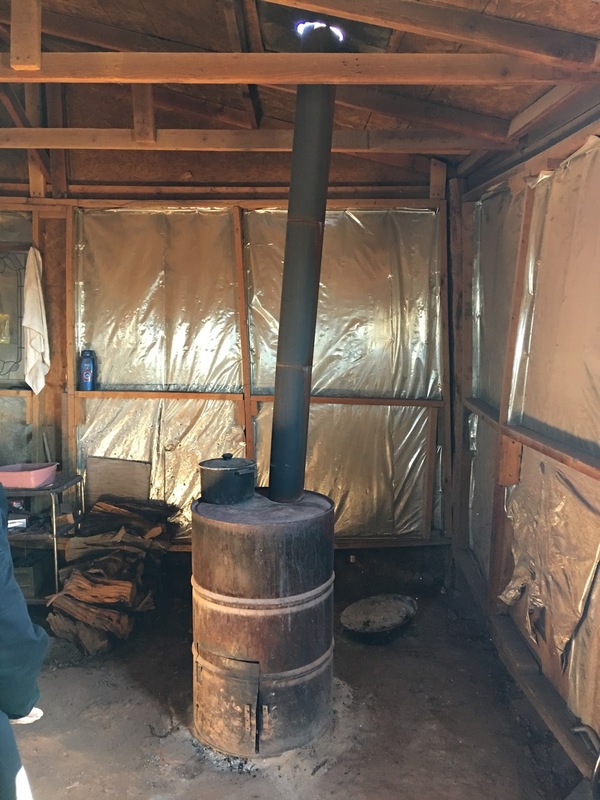 Tony's home was the first stop, and we all agreed, he needed a new stove. Tony was thrilled he was able to choose his favorite color - red. We were ecstatic with the welcome committee! three of the Navajo EPA Representatives. We give our heartfelt thanks to these four people who were a big help on our first installment project. Tony's stove was removed, and a new hearth was built. Using cement board and tile, we made a safe place to set the new stove down. Checking the length of pipe, double-wall was used inside every home, then moving outside to finish the stainless on the exterior. 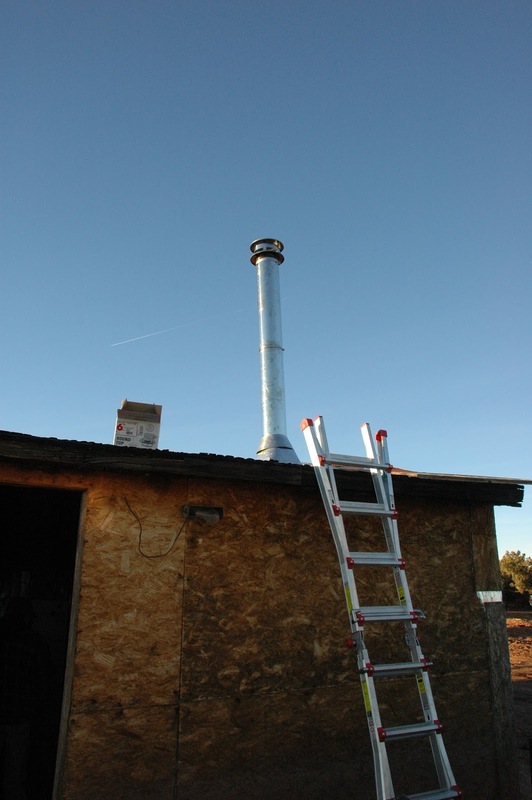 Once the chimney was in place, it was time to light the stove - drum roll please! The stove which Tony was using, was very basic. We educated Tony as to how to use his new stove. He was taught how to engage the combustor when burning wood, and how to move the "Fuel Selection Controller" when burning coal. Because these stoves burn both wood and coal, it is important to utilize the Fuel Selection Controller as needed. 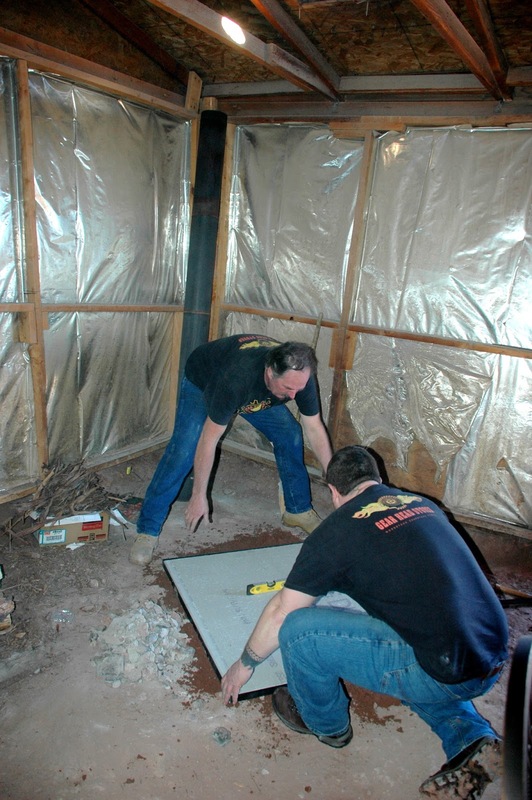 After the installation was completed, we checked back in with Tony several times to see how he was doing. As with all beta testing, there were items that needed adjustment and some improvements were made. The overall opinion was - Success! Steal of the Month Extravaganza! Navajo Mud Wrestling at 7,000'!